Charleston is a city that was founded many years ago and has witnessed the development of the nation as a whole. In fact, it is the oldest city in the country! It was founded as an English colonial seaport in 1670 and grew into a wealthy city by the year 1750, mostly depending on agriculture and seaport trade. The city has withstood civil wars and rebuilt itself from it. Its heritage is so rich because whenever the buildings were damaged from the war, they were repaired and not replaced – every brick has a story to tell. Making the landmarks very iconic. Every year, close to 4.5 million people come to Charleston to tour the majestic town and I bet there is always one thing in their mind they have to try before leaving: food. The best gastronomies you will ever have, prepared in a way that will make your buds explode with pleasure. From the ever-merry dockside roasts and high-end restaurants to outdoor cafes. Every meal is a memory. Prepared with flawless finishing. Served with a smile that can warm your heart. All you have to do is dig in! Charleston is well known for the oyster delicacies and no other place in the city prepares it like the Oyster House on Market Street, made by none other than Chef Tony Palmisano, Charleston’s seafood guru. If you want a more serene and fine environment around the city, Cannon Green, hosted by Chef Amalia Scatena, offers a fashionable, Mediterranean touch to the Lowcountry seasonal cuisine using fresh, local ingredients. They also offer a wide variety of wine, all under one roof. Charleston is known for its wide coastline beaches and very, very fine white sands. Isle of Palms is the farthest beach from downtown. Along its beach you’ll see the well maintained upscale condos. Most of them are gated so they are never crowded most parts of the year. Sullivan’s Island is not very far off as well, just 15 to 20 minutes away by vehicle. It is a flat-landscaped beach with lovely homes and sleep-ins, exclusive bars and restaurants where you can relax and enjoy the view. The beach houses Fort Moultrie, an ancient defensive fort during the revolutionary and civil war era. Charleston City Market is one of the most visited places by both visitors and locals in downtown Charleston. Always busy with shoppers and sightseers, it is open 7 days a week, all year, displaying local vendors, special crafts and fine take away spots. If you happen to be downtown, stop by to buy souvenirs or snacks, or just pass by for a stroll. Finally, among the very many things to do and see in the great Charleston City, just across downtown is the Patriots Point naval history’s most treasured showpiece: a World War II aircraft called the USS Yorktown. 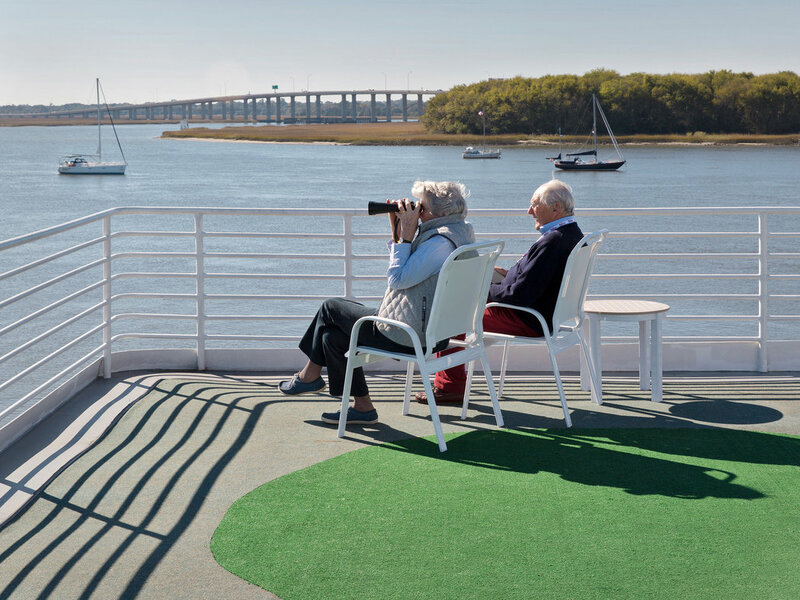 Visitors of all ages like to roam around the ship, which has 13 decks and is 888 feet long. It was commissioned in Virginia in 1943. As you wander through the decks, you’ll see 26 naval aircrafts docked. This majestic piece of art brings visitors from all walks of life. Charleston City is a place full of awe and wonder. It is the place to be for holiday and excursions, bringing people together from different parts of the world. There is a reason it is the best city in the world. Come and see for yourself why!